Today Nissan and West African conglomerate Stallion Group announced their intention to jointly launch vehicle assembly in Nigeria. 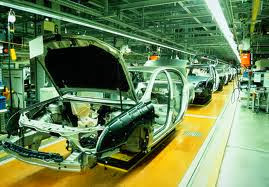 The announcement is in expectation of final approval by the Federal Government of the new Automobile Industrial Policy, designed to encourage development of the auto industry in Nigeria, and would see Nissan become the first major international manufacturer to launch vehicle assembly in the country following the new legislation. The parties have signed a Memorandum of Understanding which will result in Stallion - already Nissan's exclusive distributor in Nigeria - increasing capacity at its existing plant, VON Automobile Ltd in Lagos. Stallion currently produces commercial vehicles at the facility. The plant's annual capacity will be expanded to 45,000 units to assemble a range of cars, light duty trucks, pickups and vans. Full details of the product lineup will be confirmed at a later date, however it is anticipated the first product to be introduced will be the iconic Nissan Patrol SUV in spring 2014. Capacity at the plant will also be opened to Nissan's Alliance partner Renault, to be utilized according to future business needs. Nissan President and CEO, Carlos Ghosn, said: "We welcome the proactive measures being taken by the Government of Nigeria to encourage inward investment and job creation driven by local auto manufacturing. Together with our local partner, Nissan is preparing to make Nigeria a significant manufacturing hub in Africa. As the first-mover in Nigeria, we are positioned for the long-term growth of this market and across the broader continent."